Recapture your youthful glow with our rejuvenating nighttime facial moisturizer – Stunning Slumber. Stunning Slumber infuses moisture, brightens skin and lightens blemishes all while you sleep. You wake up looking refreshed, youthful and vibrant. It’s no wonder Stunning Slumber is one of our best sellers! And don’t forget our complimentary overnight eye cream – Enchanting Eye. 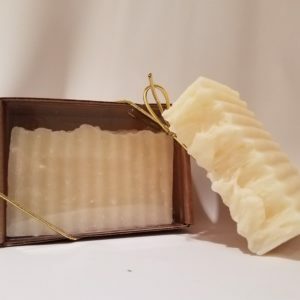 This handmade, all natural nighttime facial moisturizer is made from the highest quality, organic ingredients. Each ingredient offers unique benefits to improve, restore and brighten skin. Our porcine oil restores essential vitamins such as A, D, K and E as well as potent anti-inflammatory conjugated linoleic acid (CLA) and anti-microbial palmitoleic acid. And because our porcine oil is uniquely similar to human skin it absorbs quickly for long lasting benefits. Organic shea butter in the Stunning Slumber has the ability to soothe, hydrate and balance your skin due to the fact it contains essential fatty acids, along with vitamins A and E, which are imperative to maintaining your skin’s elasticity and suppleness. In addition to shea butter, Stunning Slumber features organic grapeseed oil. Grapeseed oil has astringent qualities that help tighten skin and close up the pores, thus helping you avoid clogging that leads to pimples. Oily skin can especially benefit from this. In addition to an ideal viscosity, the oil is extremely rich in beta-carotene and vitamins D, C, E. It also happens to have a high concentration of essential fatty acids like palmitic, stearic, and linoleic acid. These fatty acids have performed well in clinical anti-wrinkle trials. They have also proven to be effective at minimizing the prominence and size of scars. The rose water in Stunning Slumber naturally tones the skin making beneficial for acne. It also has anti-bacterial properties which further helps these conditions. Rose water is rich in antioxidants to help strengthen and regenerate skin cells. This helps it revitalize aging skin and keep fine lines and wrinkles at bay while also helping to heal scars, cuts and wounds. The combination of these powerful ingredients stays with your skin for long last benefits, but it can take some time to soak in which is why we recommend this product as a nighttime facial moisturizer. Our blend of essential oils include Frankincense and lemongrass. Frankincense is a natural antiseptic and the natural astringent qualities help to reduce wrinkles. ?Frankincense also has a unique property called Cicatrisant, which can fade the appearance of scars more quickly. 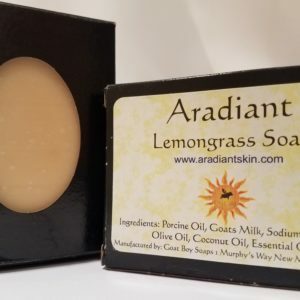 Lemongrass essential oil is a powerful antimicrobial and helps to prevent breakouts, even on sensitive skin. The lemongrass essential oil is also a slight sedative which can help to relax you before you got to bed. 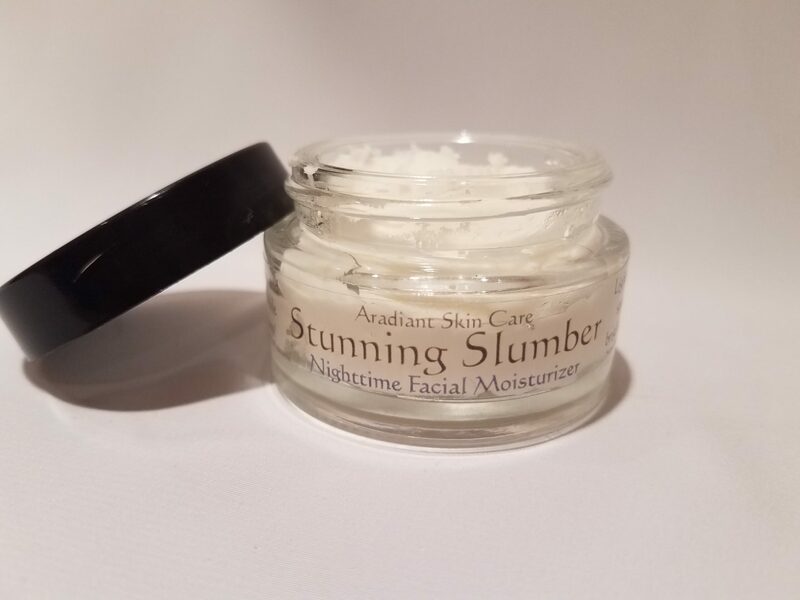 Because Stunning Slumber is a fresh, all natural nighttime facial moisturizer we do recommend using within three months of opening and storing in a cool dry place. 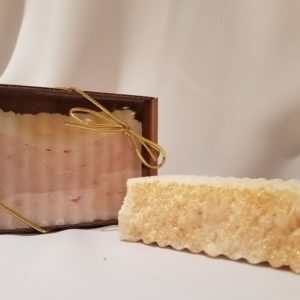 We do not use any artificial preservatives in this all natural nighttime facial moisturizer to prevent the growth of mold, we only use our essential oils as mold inhibitors. We do our best to keep everything clean and sterile while working on it; however should you receive a jar of Stunning Slumber that has mold growth already, please contact us. This stuff is so awesome! I only need to use it once a week and it keeps my skin hydrated, soft and it feels so young. Absolutely my favorite moisturizer. It calms my rosacea, and leaves my skin deeply nourished all day. I have very sensitive skin, so I use it in the morning, and it protects my skin all day. Simply love this product. My skin has never felt better. In fact I had no idea how young my skin could feel again! Thank you. I LOVE this stuff! Overnight it completely heals and transforms my skin. I wake up with bright eyes and glowing skin. I never noticed how dark my eyes were until I started using this and seeing how bright they became. Truly great stuff!